Details: Public company limited by guarantee, not shares. Members are the approximate equivalent of shareholders in an ordinary company. Accountability: Oversight by a Board composed of volunteers (apart from the Managing Director). In addition, those directors are ultimately answerable to the broader membership, and to ensure this extra layer of accountability, the constitution requires that non-director members, all volunteers, must at all times outnumber the director members. In addition, being a public company means it is strongly scrutinized under Australian law, with compulsory annual independent audit and financials on the public record. Details: Registered with the CRA as a charity and is, therefore, also a non-profit organization. 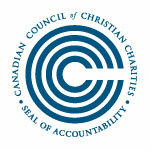 Donations made to CMI–Canada by Canadian tax payers are tax deductible. Oversight by a Board of Directors composed of volunteers in accordance with CRA charity laws. Certified member of the CCCC. Details: Not-for-profit charitable trust registered under the Charities Act as Creation Science Foundation (NZ) Trust, registration number CC26720. Donations made to CMI– New Zealand by New Zealand tax payers are eligible to claim a tax credit. Accountability: Oversight by an independent Board of Trustees in accordance with the Deed of Trust. Details: A Nonprofit Company limited by guarantee. Accountability: Oversight by a Board of Directors plus an additional layer of non-director Members in accord with the laws of Singapore. Details: Section 21 Nonprofit Company with pending Tax Exemption and very limited, if any, tax deductions for donations. Accountability: Joint oversight by Members and a Board of 3 Directors from volunteer RSA Members. Compliant with RSA Law with annual independent Audit and annual Financial Statements available to the public upon request. Structure: Nonprofit Corporation limited by guarantee and not shares—a common structure for charities. Details: All very similar to the Australian setup. Members are the approximate equivalent of shareholders in an ordinary company. Accountability: Approved as a registered charity, number 1117490. Details: This is a standard structure for a US faith-based Christian ministry, an incorporated body that does not make profits for any outside party. All funds must be utilized for the stated aims of the ministry. Accountability: Governed by a Board of Directors composed of volunteers (apart from the CEO). In addition, those directors are ultimately answerable to the broader membership, and to ensure this extra layer of accountability, the constitution requires that non-director members, all volunteers, must at all times outnumber the director members. Accountable also to US law governing non-profits. Tax-deductibility status: CMI-US is an IRS approved 501 (c) (3)* organization with tax-deductibility for donations. *See US code TITLE 26, Subtitle A, CHAPTER 1, Subchapter B, PART VI, 170. The ministries in each country are also committed to operating within the same broad guidelines, with international checks and balances determined by a system of democratic multi-country involvement (CMI-Worldwide). The parent organisation of CMI is the Australian ministry, so its history and background will be given first. In 1977, the first official creationist organisation in Australia was commenced-the Creation Science Association (CSA) of Adelaide, South Australia. It was headed by Dr Carl Wieland, who had been speaking on the subject since being converted a few years earlier through a 1960s book written by Drs John Whitcomb and Henry Morris (of the Institute for Creation Research). Peter Sparrow, of Creation Bus renown, was on the first CSA committee. He had independently been making a public stand for creation at the university where he was doing his science degree. Shortly thereafter, the CSA had branches in all states except Queensland, where schoolteachers Ken Ham and John Mackay had started ministering to churches using a ‘missions’ model, under the name Creation Science Educational Media Services. In 1978, Carl commenced Creation magazine (then called Ex Nihilo, later Creation Ex Nihilo). In 1979/80, CSA joined forces with the Queensland group (which became Creation Science Foundation Ltd (CSF) in 1980 under founding chairman Prof. T. John Rendle-Short), and Carl handed the magazine to those (in Queensland, in the northern part of the country) who were working fulltime, a logical step. He continued writing and speaking part-time for the ministry while living (and practising as a medical doctor) in the southern part of the continent. In 1987, after Ken Ham had been seconded by the Board of CSF to work with Dr Henry Morris’s Institute for Creation Research (ICR) in the USA, Mr Mackay resigned and Carl Wieland (then recovering from a serious car accident—see his fascinating account in Walking Through Shadows) was asked to head the Australian ministry. He continued to do this until March 2015, when he retired from public involvement. Creation magazine has since developed into a full-colour publication with subscribers in over 100 countries worldwide. In about 1993, the Australian CSF ministry gave assistance (including substantial financial advances, first by loan and later a part of it by donation) to Ken Ham to form a ministry independent of ICR in the eastern part of the US. Unable to use the same name as its Australian parent (in America, a Foundation is something which gives away money), it was initially called Creation Science Ministries. It was felt after a while that this name caused occasional confusion with concepts like 'Christian Science' and 'Scientology'. So in due course, the ministry in the US was renamed Answers in Genesis. This name was well accepted, and the Australian ministry adopted the same name not long afterwards. Legally autonomous satellite ministries were progressively set up in UK, Canada, New Zealand and South Africa. The Australian ministry has also long published the world’s leading peer-reviewed creationist research and review journal, formerly the Technical Journal, then TJ, now the Journal of Creation. This office has also been responsible for preparation of much of the newsletter, etc. content for many of the other ministries in countries outside of the US. The AiG website was developed in the US and hosted there. It was heavily dependent for its intellectual content on the scientists and thinkers in the parent corporation, in particular Dr Don Batten, Dr Jonathan Sarfati and Dr Carl Wieland. These and other writers were heavily contributing to the site, as well as writing some of the best-selling books sold by all ministries (e.g. The Creation Answers Book, Refuting Evolution, Refuting Evolution 2, Refuting Compromise and One Blood). But in late 2005/early 2006, the US ministry withdrew themselves from the international ministry group (with the exception of the UK) with an expressed desire to operate autonomously from the four other offices bearing the same ‘brand name’. At that time, in the midst of discussions about this and other differences in operating philosophy (not involving the statement of faith or similar), the Australian office was formally invited to form its own website. This required a new name to avoid confusion. The four national ministries (Australia, Canada, New Zealand and South Africa) which were committed to continuing their focus and operational ‘team’ philosophy, and to continuing to forge and strengthen a representative international ministry alliance structure (based on Proverbs 11:14), then rebranded as Creation Ministries International (CMI). The New Zealand office commenced in Auckland in 1994 with the guidance and encouragement of CSF Australia. At first, it was led by Dr Tony Hanne, while also practising as a GP and running other Christian ministries. Then Albert Ruijne ran the office for a few years. Adrian Bates, a former lawyer and evangelist, joined the NZ ministry in 2001. He served as the CEO and speaker for 10 years. Robert Hunt is now speaking for CMI-NZ. The Canadian office was established in late 1998 when the Creation Science Association of Ontario (established in Dec 1978) changed its name and ministry philosophy to match that of what is now CMI. In December 1998 the office was moved from Toronto to Waterloo under the direction of current CEO and speaker Richard Fangrad, who was previously involved with communication satellites and digital radar systems. In 1999, Henry deRoos began speaking part-time, and continued for the next 5 years. In 2002 cave geology expert Dr Emil Silvestru joined the Canadian office as senior scientist and speaker, to be followed in late 2005 by Calvin Smith. The South African office was established in June 2002 in the Cape Town through the efforts of Johan Kruger, PhD (Zoology). (Prior to 2002, Joshua Gilbert of the Durban region, acted as the South Africa agent for the distribution of Creation magazine. Joshua currently serves as a director on the board of CMI–South Africa.) In October 2003 Larry Dolezal joined the growing ministry as General Manager. With Larry’s departure in June 2006 to establish the new CMI–USA office, Robert Zins was appointed to fill the position, now as CEO. After having formerly been active as a director on the board, Marc Ambler joined the ministry in 2013 as a speaker, and in 2015 he took over Head of Events. The UK/Europe organisation was registered in the 2nd half of 2006, initially as a safe distribution point for our periodicals, Creation magazine and Journal of Creation (formerly TJ). From January 1, 2007, Philip Bell recommenced speaking ministry as CEO of CMI–UK/Europe, which is now a full-fledged outreach operation and a registered charity. The United States ministry in Atlanta, Georgia commenced in 2006. In the latter part of that year, Larry Dolezal moved to the region (from Capetown, South Africa) to be General Manager. Larry, a US citizen, had been the General Manager of CMI’s South African office while he was a missionary in that country, until his work visa expired. Before his arrival, recruitment and training of the first speakers had already commenced to meet CMI’s rigorous accreditation standards in order to best serve the church. This was done via regular tours and visits by CMI-Australia’s Head of Ministry, Gary Bates. In the spring of 2008, Jared Vallorani (who had for some years been Director of Outreach at AiG-US, then worked for another ministry for a time) was appointed to further advance CMI-US’s outreach. In September 2009, at the behest of both the US and Australian boards and Management, Gary Bates relocated to head up the US office as its CEO. CMI’s statement of faith, our mode of operations, and our commitment to keep on expanding the global outreach of the phenomenally effective publications Creation and Journal of Creation, continues, as does our commitment to the centrality of the Lord Jesus Christ and His Word in all things.